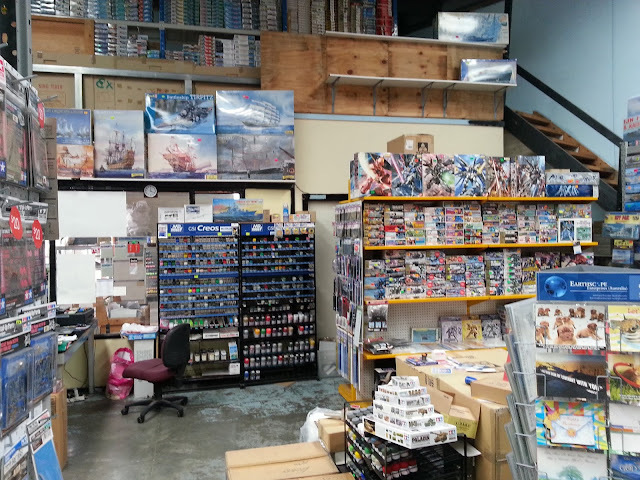 On Saturday morning I visited a hobby shop I haven't been to before. And I loved it - it was like stepping back in time. 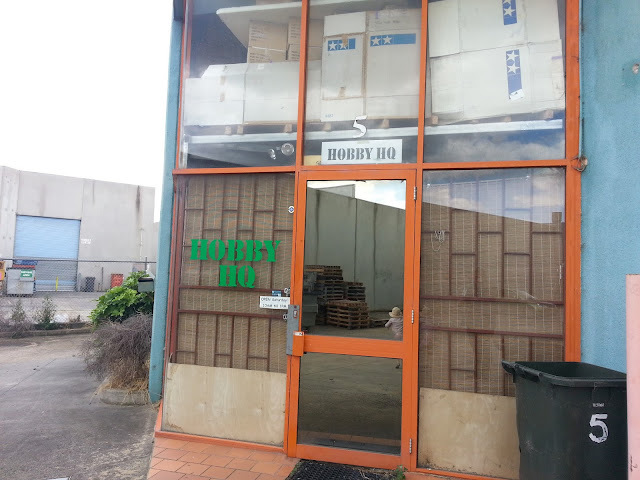 I went to Hobby HQ in Thomastown, a northern suburb of Melbourne. It's nowhere near any part of Melbourne I usually visit, and it ended up being an 82km round trip to get there and back. But it was worth it. It's in an industrial estate, and from the outside doesn't look like much. 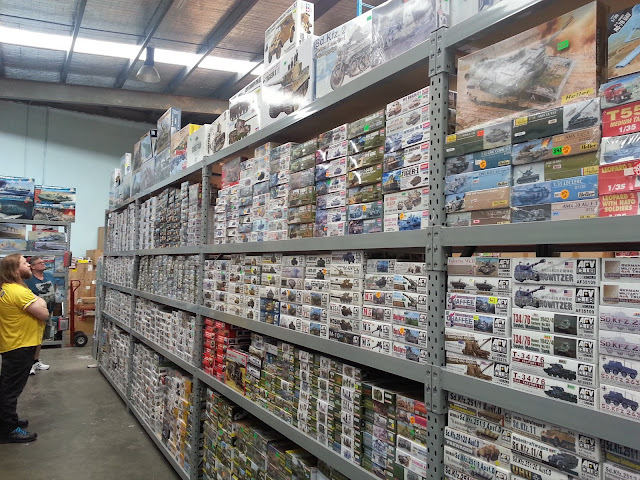 But walk through the door and there are floor to ceiling shelves full of modelling gold. It is massive. Floor to ceiling. I am in heaven. That's a lot of model making stuff right there. And the kits! It was a little time warp. 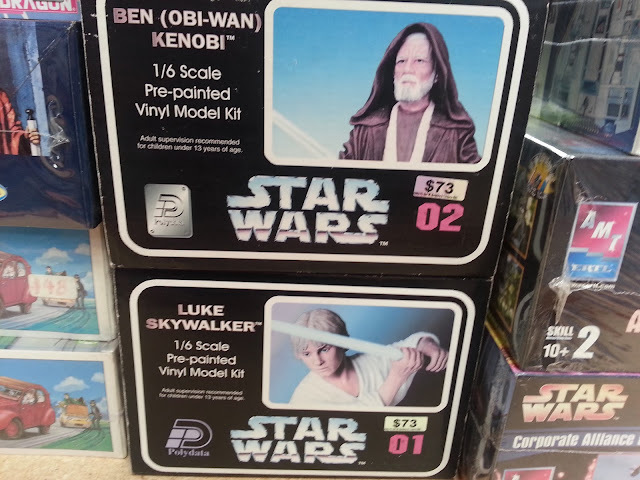 Along with every new release, there were kits from the 1970s and 1980s that I remembered from when I was a kid. 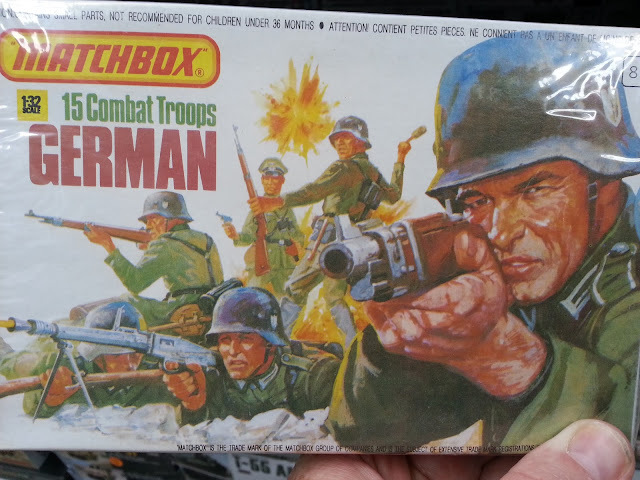 Check this out: Matchbox 1/32 German and British soliders. 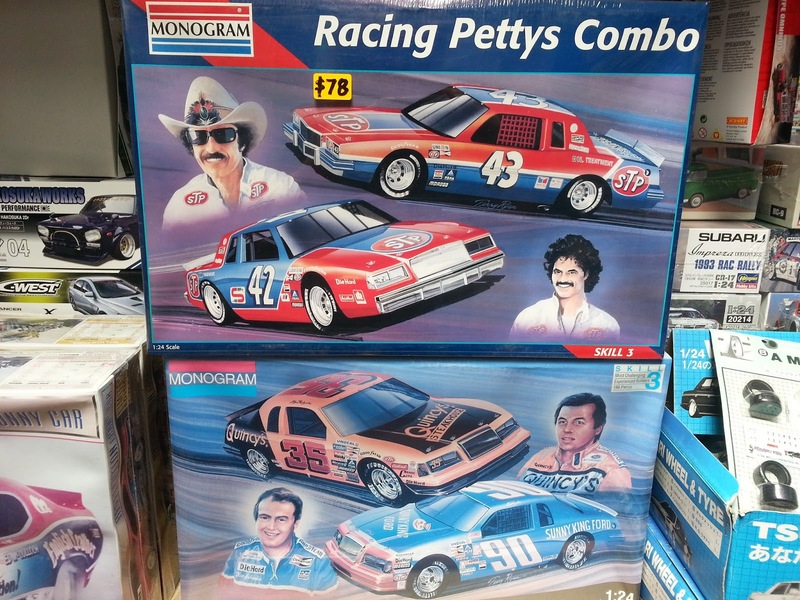 Terrible kits, but what nostalgia! It doesn't get much more old-school. 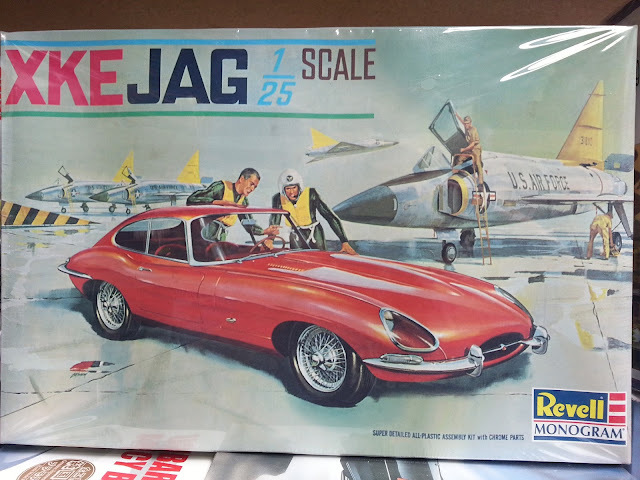 I remember this so vividly from my first visits to model shops in the 1980s. Man, they don't produce cover art like this any more. There were other retro gems. I'm not much of a car modeller, but check out this baby. I can practically hear the "Yeee-haw" in my head when I look at these boxes. Wow. 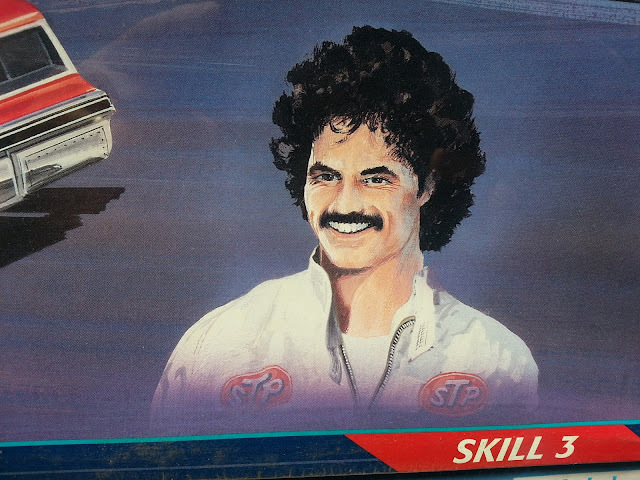 I have no idea who this NASCAR guy is, but I love that they painted his hair with a BIG brush. And look at these other retro offerings. 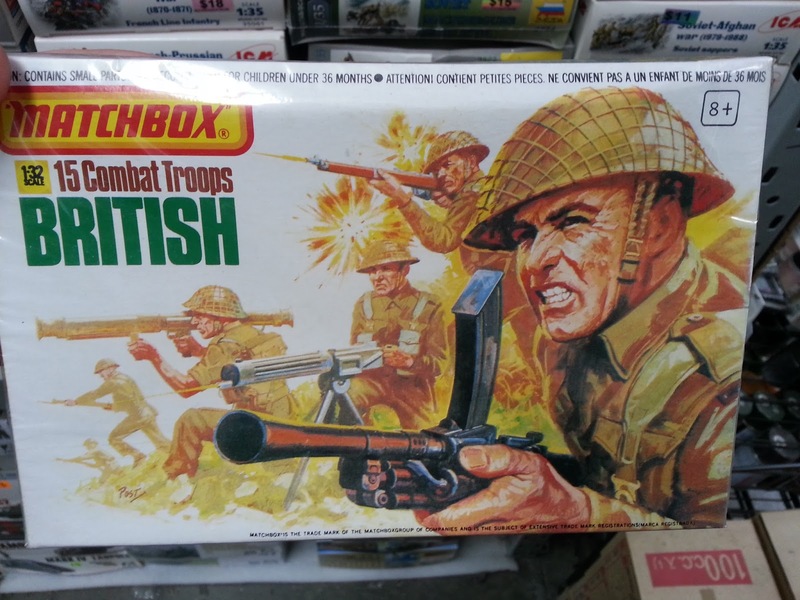 This box art was designed to make you fall in love with the kit, and (for me, at least) it still works. It helps that I already love Jaguar E-Types to an unhealthy degree. 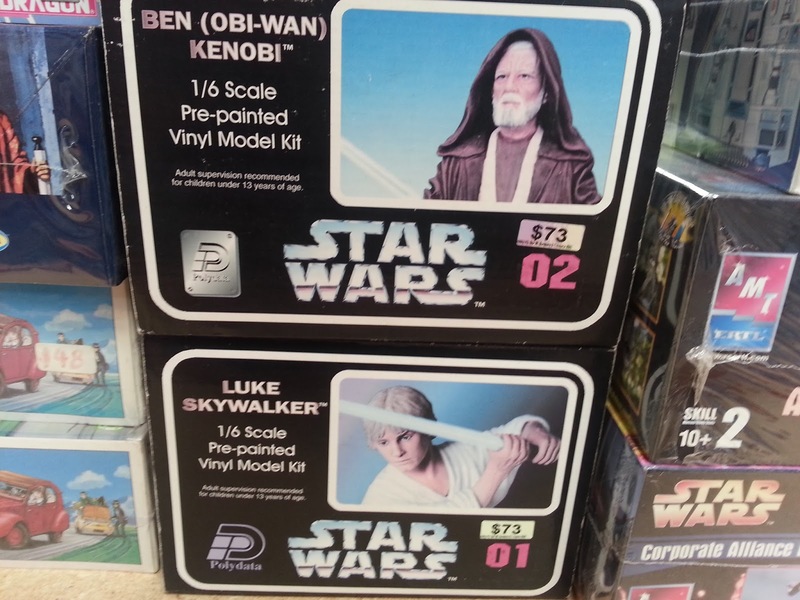 Oh wow, those faces are so dodgy. I love it. Don't get me wrong: there were plenty of up-to-the-minute new releases as well, lots of photoetch detailing kits, in fact the retro stuff was a tiny minority. 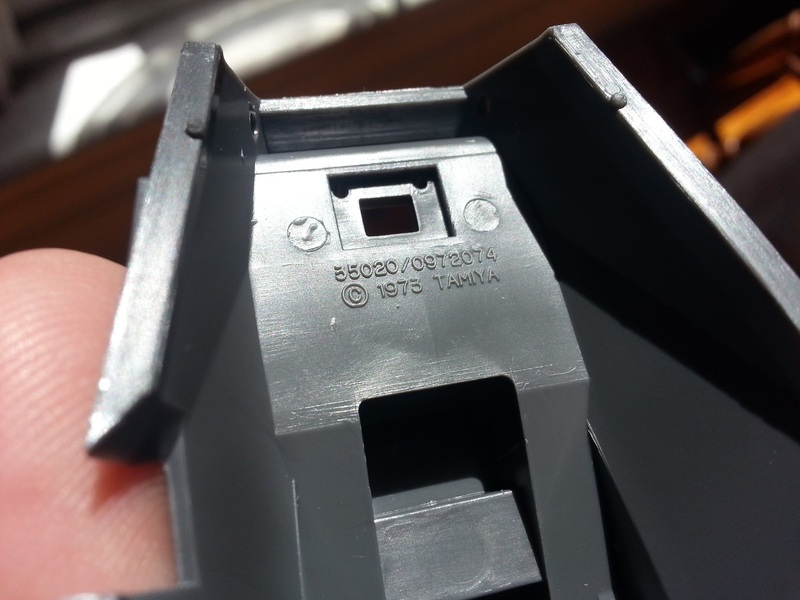 But when I discovered them, it was a flashback to my geeky low-tech beginning in the hobby. 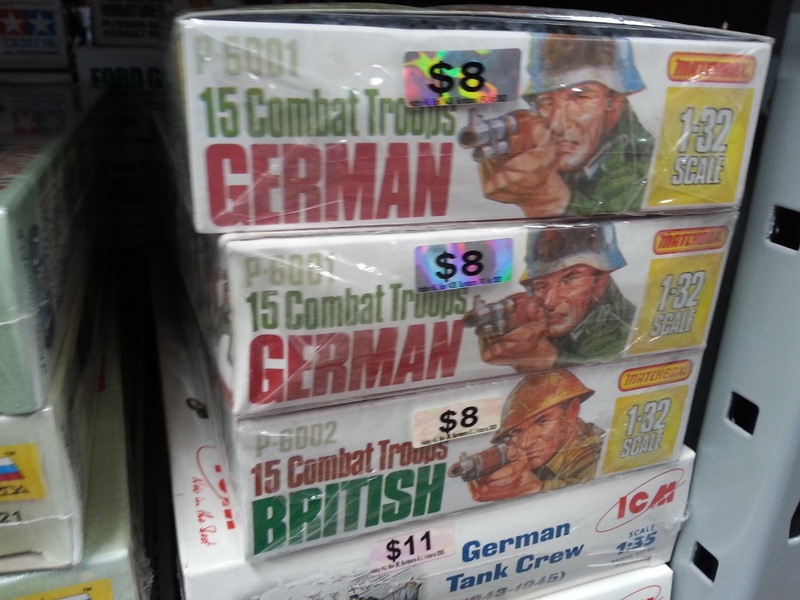 And it is so rare to find a model shop which still stocks this esoteric stuff. Sure, you can type it in online and find it in a flash and get it delivered to your door. But to browse the physical boxes was just sublime. In the spirit of retro modelling, I purchased a kit first released in 1973. Nineteen seventy - freaking - three!!! 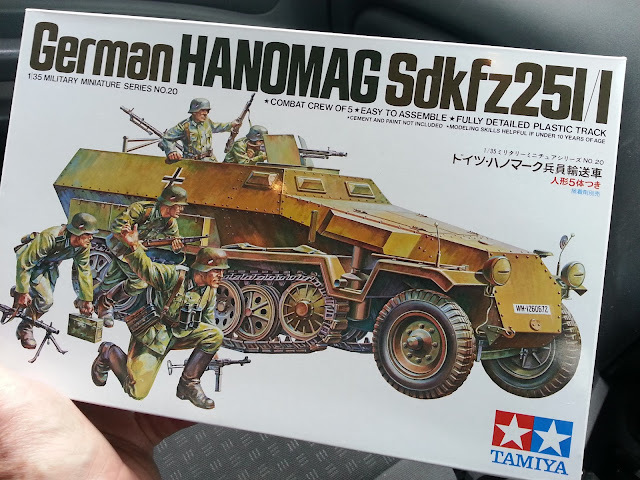 The Tamiya Hanomag Sdkfz251/1 halftrack in 1/35 scale. I built one of these babies in about 1985-6, and it was a pleasure to build compared to Revell or Italeri offerings at the time. I look at it today and it is low-detail and rather long in the tooth. But that will be the pleasure of it - trying to take that 44 year old engineering and bring it up to 2017 standards. I can't wait. This was a revelation in the 1980s. Copyright 1973. I have been warned. I'll try to find my old halftrack that I built back in the 1980s for a future post. It will be terrible. 1. It's good to visit bricks and mortar hobby retailers, because you don't want them to all die off. 2. It's good to see how far the industry has come. 3. And it's fun to get nostalgic about crappy old kits.